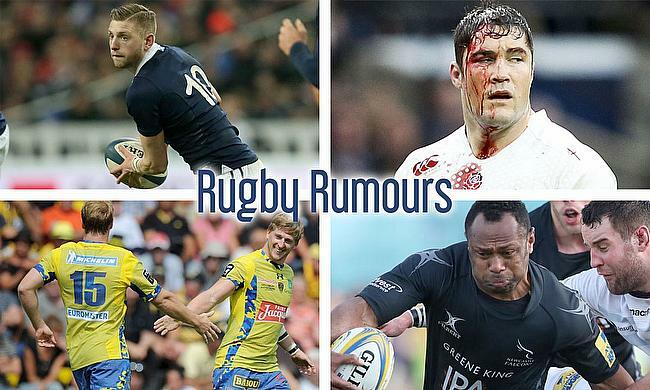 Scotland's talismanic fly-half Finn Russell is being linked with the deep pockets of the French Top14. Currently at Glasgow Warriors, the British and Irish Lion has caught the eye of Racing 92 who aren't shy of a x-factor 10. Rumours have been circulating the Brad Barritt will be retiring from rugby at the end of this Aviva Premiership season. A claims that he rejects, but that does open the door for another high-profile rumour joining Saracens in the shape of Ben Te'o. Vereniki Goneva has been looking sharp for the Newcastle Falcons outfit, sitting at 4th in the Premiership table. It's common knowledge that Bristol Rugby are looking to bounce back to top flight rugby, but they are also preparing for next season with some more marquee signings. They have clearly been watchful of Clermont Auvergne, as they look to bring back to our shores Nick Abendenon and David Strettle.